Air Express | Warehousing | Greensboro, NC - DeLoatch Transportation, Inc. When nationwide freight forwarders require shipping proficiency, DeLoatch Transportation, Inc. does the job quickly and correctly. Choose our shipping company for an affiliate that is reliable, dependable, and trustworthy. Receive a free estimate on air express and expedited truck shipment. We launched DeLoatch Transportation, Inc. in 1981 to offer clients same-day air express and expedited truck shipments. Our office is conveniently located in Greensboro, North Carolina, only 1/4 of a mile from Piedmont Triad International Airport. The keys to our continued success are providing the highest quality services at competitive costs, tailoring services to meet the specific needs of customers while providing requested services on time - every time! Referrals are available upon request. 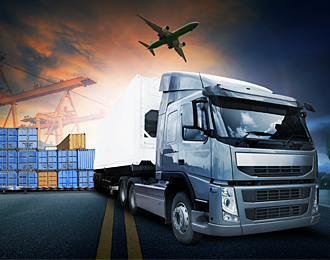 Our mission is to provide the highest quality economical services with integrity, while excelling in the field of logistics and transportation management. We continually improve our service polices and performance, while steadily increasing the efficiency, profitability, and value of our clients.